The Aztecs stored pinole for times of need or famine. Unlike dry corn, pinole can keep for up to 5 years! The Aztecs prepared pinole in a warming drink or a cooling refreshment. They also used it as an important travel food. It was easy and light to carry (unlike sacks of corn), and incredibly tasty and nutritious. Pinole is still the favoured fuel of the Tarahumara, the best ultra-runners in the world. They can go for hundreds of miles on sandals in the Copper Canyons in Mexico. They were celebrated in the best-seller Born to Run, as the tribe who never lost the joy of running nor perverted their running technique by wearing sneakers… They still run on sandals today but use tyres for the sole. Peak Pinole is dedicated to continuing the legacy of the Aztecs by introducing pinole to markets around the world. We’re excited to adapt this ancient travel food into the best sports food to keep you going mile after mile, carrying on the Tarahumara’s love for running. 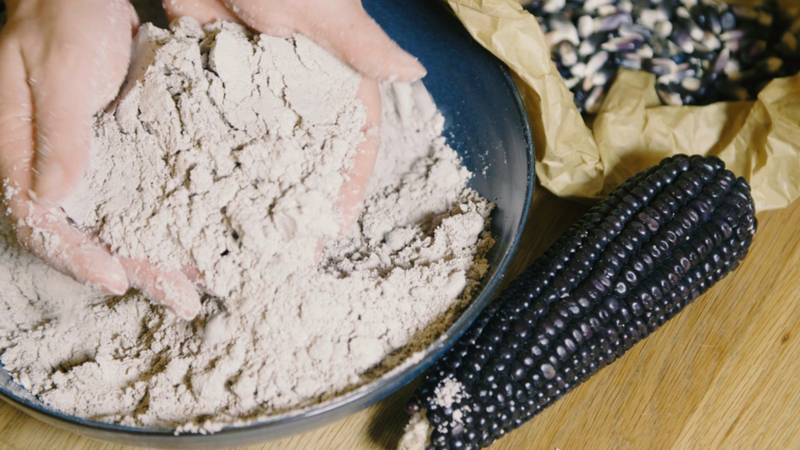 Finally, we ensure Peak Pinole is made of heritage corn that has been passed on from generation to generation in Mexico. We live in a world of dwindling biodiversity and it’s important to preserve these seeds for the future.